Drug delivery systems (DDSs) control when and how much drugs are delivered to the body. Numerous DDS studies have been conducted but most have focused on treatments for cancer. New research from Kumamoto University uses a DDS to treat malaria. The existing treatment for malaria is taken orally and has three main problems: (1) most antimalarial drugs are broken down in the stomach, (2) the drugs have strong side effects, and (3) the medicine stays in the body for only a short time. These issues resulted in malaria treatments that were not particularly effective. (1) The release time of the antimalarial medicine became very long, one week or longer, which was an improvement from the standard medication time. (3) MCM-41 itself is non-toxic and inactive. A DDS using MCM-41 is expected to have very weak side effects. 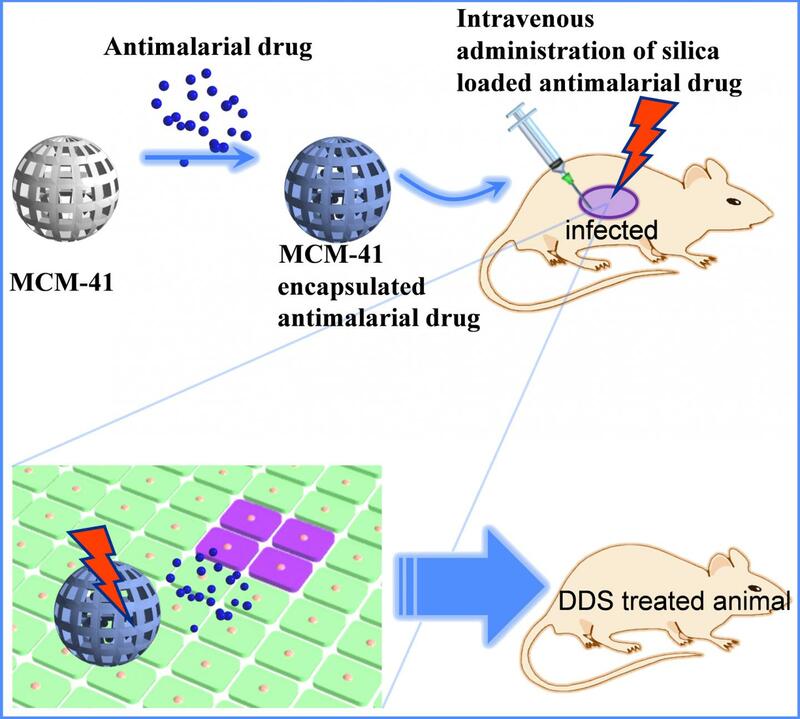 "Using this DDS for antimalarial drugs has introduced a new possibility for highly efficient malaria treatment for the first time," said Professor Shinya Hayami. "We expect that it will be put to practical use in areas where malaria treatment is still necessary. Now, we are planning to develop clinical trials for antimalarial drugs as well as new DDSs for other drugs, like anti-HIV medications." This research was posted online in the journal Scientific Reports on 15 February 2018.